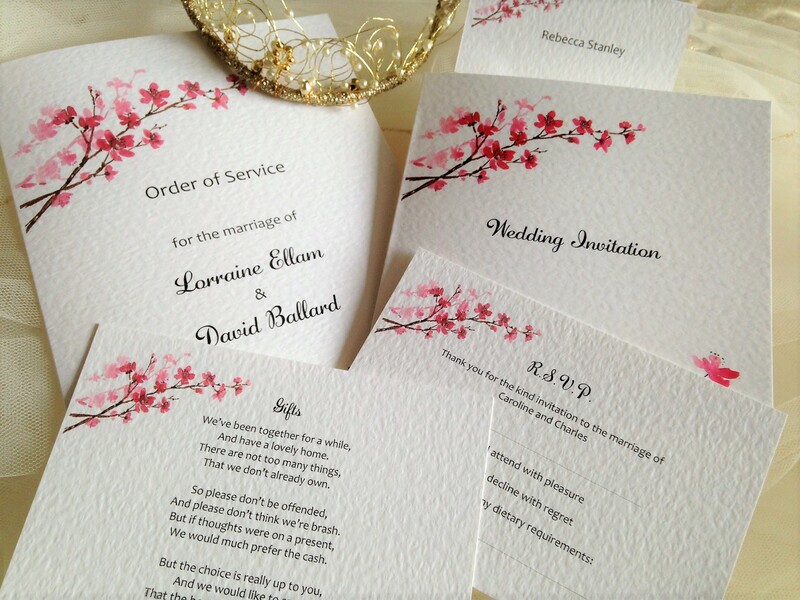 Cherry Blossom Wedding Invitations are an attractive square personalised wedding invitation supplied on a thick heavy weight (270gsm) hammered card and available in white or ivory. 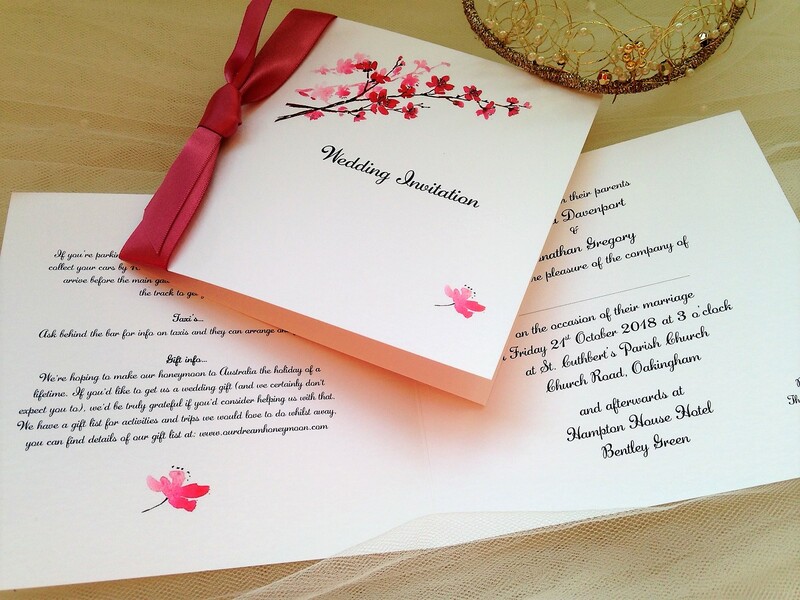 A fabulously luxurious cherry blossom design which can be incorporated throughout your wedding day. We can print the bride and grooms names on the front if you wish. 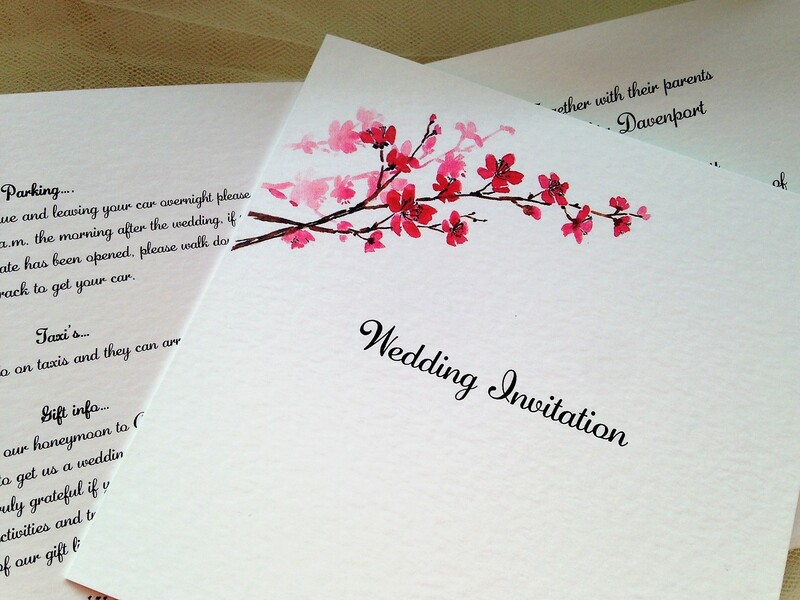 Wedding invitations are supplied with a matching hammered envelope and we can print your guests names free of charge (optional). There is a good selection of typefaces to choose from and we can print your wedding invitation text in any colour to match a colour scheme. This design can be ordered with ribbon if you wish. 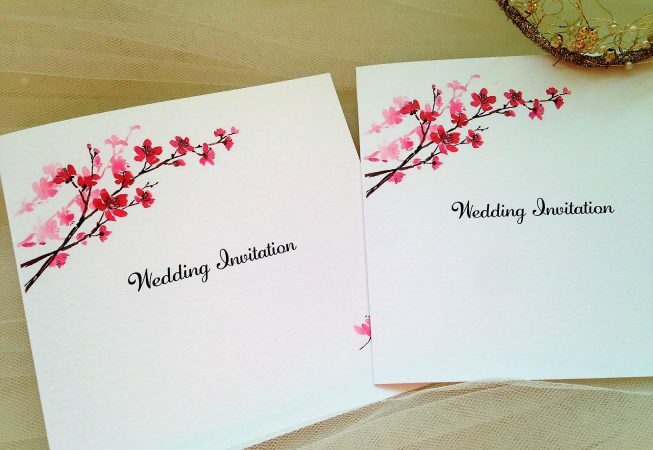 We can also supply matching Pocketfold wedding invitations, Save the Dates, RSVP Cards, Place cards, Orders of Service, Thank You Cards and much more. Cherry Blossom Wedding Invitations are part of our Cherry Blossom Wedding Stationery Range.